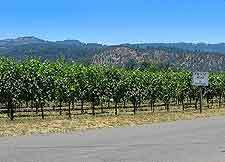 Vineyard hopping is a popular pastime for visitors to the Wine Country of the Napa Valley, although using public transport to travel between the main wineries is not ideal. Visitors often simply prefer to rent their own car, so that they are not reliant of bus transport and timetables, and therefore being able to travel freely around the Napa Valley at their own pace. For luxury transport at its very best, do consider hiring a chauffeured limousine for the day and enjoy tours around the wineries. Alternatively, many choose to travel onboard the famous Napa Valley Wine Train, where you can enjoy changing views, fine dining and locally produced wines, all at the same time. Whilst Napa Valley features its very own Napa County Airport, this facility is small and does not actually offer scheduled services, instead being used mainly by private planes. 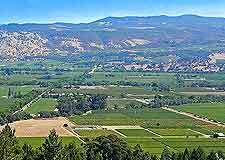 The Wine Country lies around an hour north of San Francisco, being reached along either the Highway US-101 or Interstate I-80. Renting a car is strongly recommended, since it will allow visitors to easily explore the endless vineyards and wineries around the Napa Valley, at a relaxed pace. 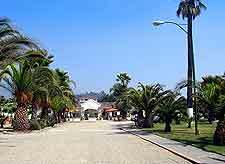 Many tourist hotspots within California are easy to travel to from the Napa Valley, such as Alameda, Berkeley, Daly City, Fremont, Oakland, Richmond, Sacramento, San Jose, San Leandro and San Mateo. Book your Oakland Car Rental here. Book your Sacramento Car Rental here. Book your San Francisco Car Rental here. 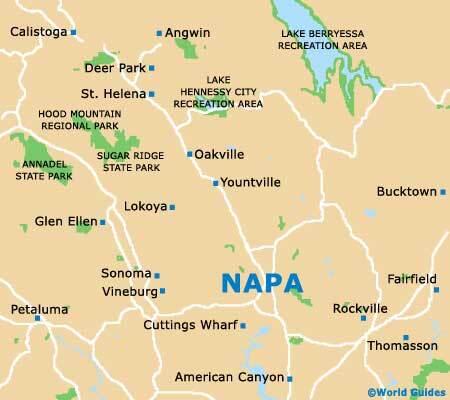 Book your Napa Car Rental here. Various different buses and routes are available both in and around the Napa Valley. 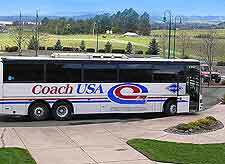 Greyhound bus transport regularly runs from San Francisco, and travels northwards to the Napa Valley and Calistoga. Further buses are operated by the Golden Gate Transit company and also run from San Francisco, reaching the Sonoma Valley, Petaluma and Santa Rosa. Locally, the Vine provides a popular bus service within Napa County, while the Downtown Trolley transports its passengers all around the city of Napa, stopping at the Expo Center, Fuller Park, the Plaza, the Premium Outlets shopping complex and also at the library. 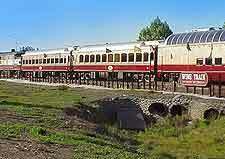 The Napa Valley Wine Train is worth looking out for and has become a leading tourist attraction in its own right. Lasting around three hours in total, the Wine Train departs for its 26-mile / 58-km round-trip from Napa and heads through the beautiful wine valleys, passing the village of St. Helena and also Yountville along the way. However, it is not just the scenery that passengers can enjoy, the transport itself is quite historic and some of the vintage carriages are over 80 years old, while the wine list and gourmet dining is exceptional. Various travel packages are offered, including the Grgich Hills Winery Tour and even a fun Murder Mystery dinner.